Dr. James David Manning, in a video titled “The Ukraine: Gog And Magog, Wars And Rumors Of Wars,” first interviews Dr. Orly Taitz about what is being seen in the Ukraine and how the EU and European banks are looting the whole continent, but it is Manning’s statements after that interview (2:25 minute mark) that are enlightening. According to Manning it is Satan’s intent to create a New World Order. 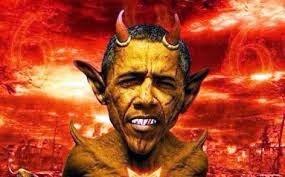 Manning asserts that Satan has sent his son into the realm of the kingdom and that son is Barack Hussein Obama.